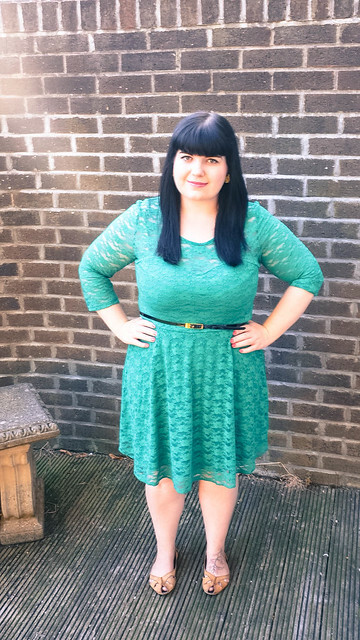 Quick wee outfit post featuring a dress from ASOS. I completely love it, the photos don't capture the bright green too well but it's amazing. I was going to buy another in orange but I noticed the elastic in the lace has started coming loose like threads. Ack! 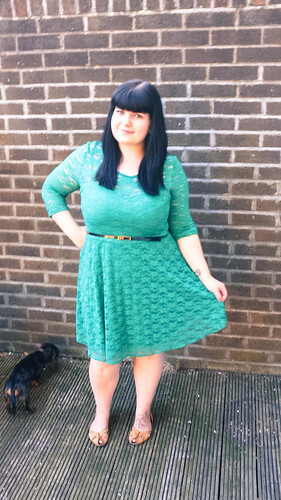 So it's not amazing quality unfortunately, but i'm sticking with it because it makes me feel happy to wear this colour. Sorry the photos are a little blurry, I only noticed something was wrong with the settings just before we had to leave, so that's why there aren't detail shots. Can you see little Lola in there? She's my shadow. Nothing too much to report here simply workworkwork, well there is something very exciting changing in my life but I am keeping quiet about it for now - eep! Apart from that, well I finally passed my driving test! I can't tell you how much of a nervous driver I am. Horrendously nervous! I started learning then stopped because I couldn't cope with it, but I was determined to learn for the business so I went back and although I failed my first test I passed the second time. I've been out driving most days to get used to our car (learned in my instructors) and so far I'm doing okay. I still get scared a lot though, but I'm getting there! Oh! One thing though, I am looking to redesign my blog. So any recommendations would be great, for who could do one. I don't have the time to do it realistically so I want to pay someone to make it pretty for me. You know I can redesign your blog anytime (for free obv). Love that song so much, it's a good'un. Your hair is looking lovely, so long now! Well done on passing your driving test! I passed mine a few months ago, it takes a few weeks to relax a bit! Just remember that once you've passed its not about trying to make it perfect like in lessons, its alright to make mistakes! Love the dress colour. 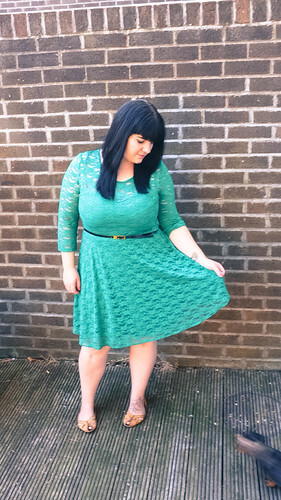 This dress looks amazing on you, I love the colour :) Well done on passing your driving test too! You've got a lovely haircut. Thanks for Bon Iver.